"Jonathan's rare combination of academic's insight and practitioner's experience has enabled him to create a series of important business innovations that have really worked." "Jonathan has provided very important thought leadership that has helped shape my view of business, the development of Accenture's business consulting practice, and several cornerstone products of my business intelligence software company." 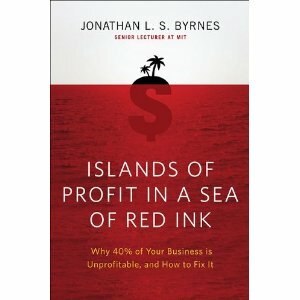 Listen to Jonathan's 14-minute "First Steps to Profitability Turnarounds"
To sign up for notifications about new publications added to Jonathan Byrnes' website, please send an email to jlbyrnes@mit.edu. We will only use your address for messages related to this website.